Hot Fudge Oreo Blondies are even better than they sound! 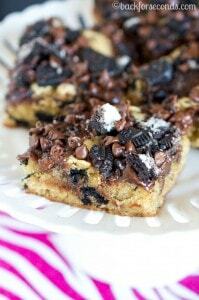 Soft, chewy blondies smothered with hot fudge, Oreos, and chocolate chips. 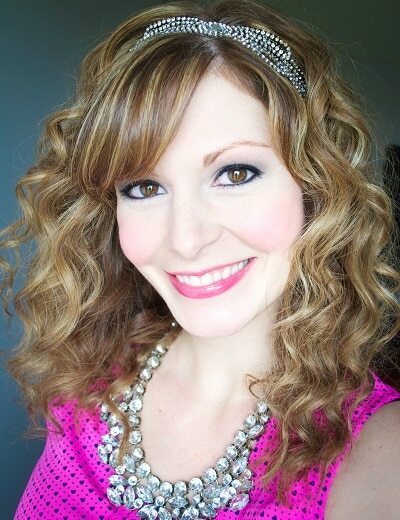 Easy and amazing!! In a mixing bowl, cream together the butter and sugar. Add salt and vanilla, and mix in eggs one at a time. Mix in baking powder. Slowly add in flour, mixing just until combined. Stir in 1/2 of the chopped Oreos. Spread batter into a greased 13x9" baking dish and bake for 18 minutes. Drizzle warmed hot fudge over the bars and top with remaining oreos and chocolate chips. Bake an additional 10 minutes. Let cool completely before cutting into bars. 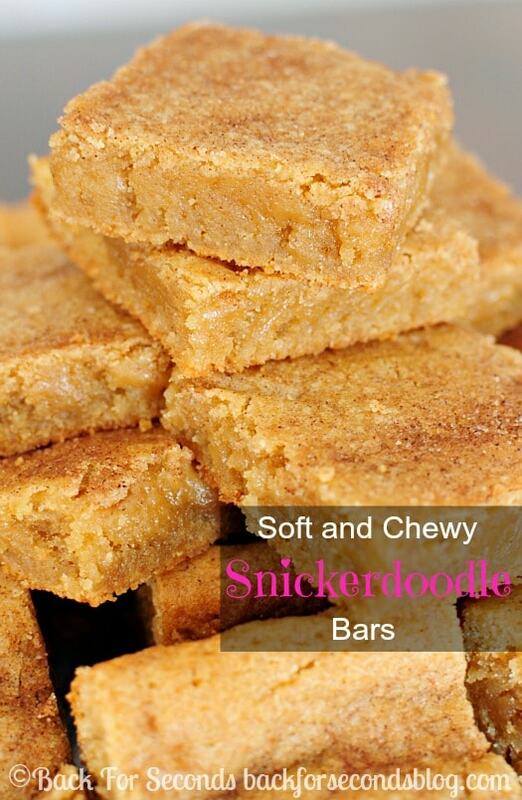 Snickerdoodle Bars – These are a HUGE favorite in my family. Everyone LOVES them! 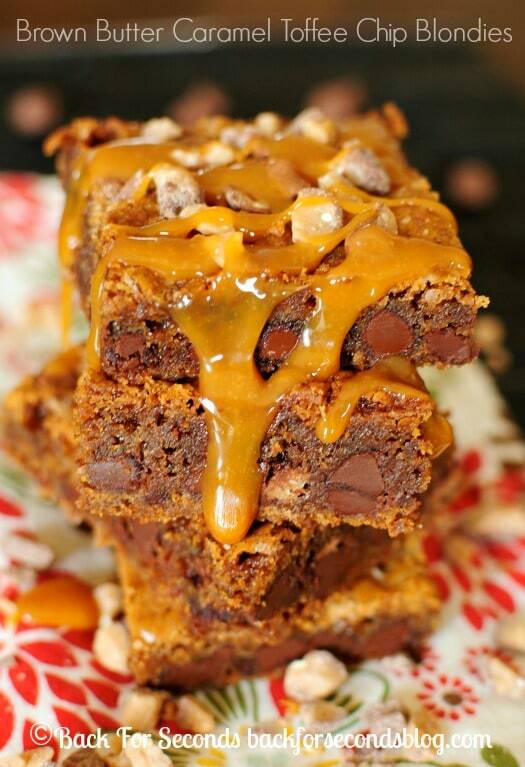 Brown Butter Toffee Blondies – Just try to resist these! I don’t normally have a big craving for sweets, but after seeing all your photos I’m literally craving these hot fudge oreo blondies…for BREAKFAST! They look incredible!!! Congratulations on the book. It looks absolutely stunning! I can’t wait to get my hot little hands on it. These blondies are packed with my favorite things: Hot fudge and oreos. I love the cover of your book! It looks amazing!! 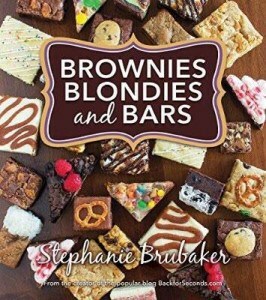 And man – Hot Fudge Oreo Blondies sound fantastic!! The name alone has me drooling! I do totally want to grab one of these through my screen! I saw these bad boys on Twitter and I was like WOW! I l’ve not seen an Oreo Blondie combo before… These look GOOD! MMM!